Why are we changing books? Well, our previous books are falling apart and are out of print. But they are also out of date. We want our prayerbooks to reflect our concerns, challenges and dreams for the New Year, and Mishkan HaNefesh does that. Now the question is, how will we adjust to the new words, the new music and the new approach which this book brings? 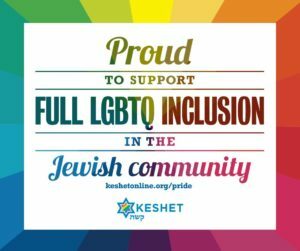 We should begin by acknowledging that we are Reform Jews – note the word “reform,” which means “to change to a better state or form; to improve by alteration, substitution, abolition, etc.” It is our mission to make changes, and over the years we have watched other Jews follow our lead in many ways. Yes, change is unsettling, and there are times like the High Holidays when a part of us wants everything to be just as it was last year and all the years before, but that’s just not what it means to be Reform Jews. Let’s remember, too, that the holidays themselves are about change. The words “Rosh Hashanah” actually mean, “the beginning of change.” If there is a single theme for the entire High Holiday period it is changing for the better; “to change to a better state or form.” If we come through the whole period of Selichot, Rosh Hashanah, Yom Kippur, Sukkot and Simchat Torah without our lives changing at all, we failed at our task! But I promise that Cantor Alexander and I have been working very hard to make sure that we don’t change too much. Many of you have been at Kol Nidre services over the past few years, so you have already had a taste of the new book and you already know that many of the prayers and melodies which you love will still be here. Our hope is that the familiar will give you the foundation on which to approach the new, and besides… once you’ve done it three times, the new will become familiar. First, we would like to send you an email each day in the month of Elul, the month leading up to Rosh Hashanah, with one of the readings from the new prayerbook. No charge, no commitment; just sign up online and receive the readings from August 16th until Rosh Hashanah begins on September 13th. Go to HHreadings.trt.org and give us your name and email address, and please feel free to extend this offer to anyone you wish, whether they belong to Rodeph Torah or not. We hope that having the opportunity to read and think about the High Holiday themes will help you warm up for the task at hand and will make the new book seem less foreign when you come to services. If you do not wish to receive email you may also call the temple office and we will send you a packet of all the readings at once. Second, Cantor Alexander and I are holding “dress rehearsals” in August for some of the new services, and we would be honored to have you attend. On Monday evening, August 10th, we will present the Rosh Hashanah Morning Service; on Wednesday evening the 12th, the Yom Kippur Morning Service; and on Thursday the 13th we will do both the Yiskor and Ne’ilah Services. Each evening begins at 7 p.m., and we warmly invite you to join us for any or all of them. If you would like to experience this “Taste of the Holidays,” just call the office and let us know how many of you will be there so we can have books ready for you. Finally, I extend another invitation: Mishkan Ha-Nefesh is the result of years of holy work by many rabbis, cantors and philosophers. It is simply too much to take in at one time, and the books are structured in ways that invite careful study when you are not pressured by the flow of the service around you. This year I will be teaching an Adult Education course on the book itself, to help us learn its inner secrets and to help us grow and change as we use it in years to come. This will be the Reform Movement’s High Holiday prayerbook for the next 25 years or more, so I invite you to join me on Monday afternoons or Thursday evenings as we explore its inner secrets… and our own. You can register for either session of this course at XXXX, or by calling the temple office; more information is available inside this Newsletter. Change is always difficult, whether it is a new prayerbook or a new year. I look forward to entering this time of change together with you, and emerging into a brighter, broader and happier future! REMINDER: We have two complete, ready-to-assemble Sukkah kits to lend to any temple member or family that wishes to create their own Sukkah… and wonderful memories. Spend a week this fall under the canopy of your own Sukkah! First-come, first-served, so call the temple office to reserve yours today.